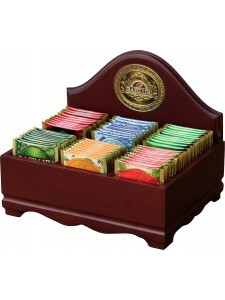 The finest quality tea is blended with a stunning variety of flavors, natural fruits and herbs, to provide a delightful and refreshing tea drinking experience. 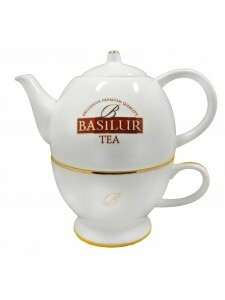 Basilur takes pride in its stylish and innovative presentations that elevates tea drinking to a premium, exclusive experience. 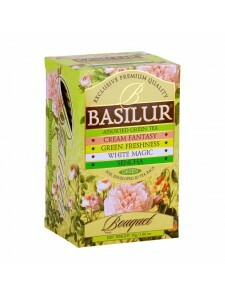 All shapes and designs are creations by Basilur, for its discerning consumers who wish to experience a unique way of enjoying tea. 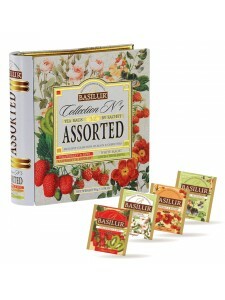 8 x 4 types of individually wrapped foil sachets An assortment of two black fruit teas and two green fruit teas - Strawberry & Kiwi, Raspberry & Rosehip, Green Freshness and White Magic. Strawberrry & Kiwi - Combining the natur..
15 x 2g pyramid tea bags At the end of winter, everyone is waiting for the blooming of Sakura, or cherry blossoms as a symbol of Spring season. The Sakura, or cherry blossom, is one of the most well known icons and symbolizes the ephemeral na.. 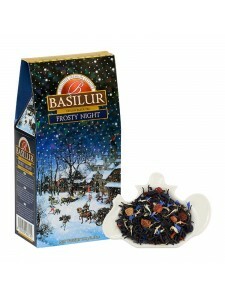 This porcelain tea for one makes an excellent gift for the tea connoiseur. 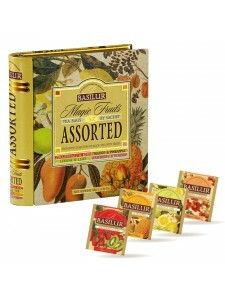 ..
8 x 4 types of individually wrapped foil sachets An assortment of four Magic Fruits teas - Strawberry & Kiwi, Lemon & Lime, Raspberry & Rosehip and Mango & Pineapple. 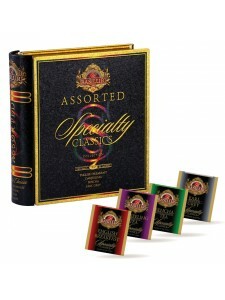 Strawberry & Kiwi - Combining the succulent taste of swee..
8 x 4 types of individually wrapped foil sachets An assortment of four oriental teas - Moroccan Mint, Masala Chai, Magic Nights & Golden Crescent. 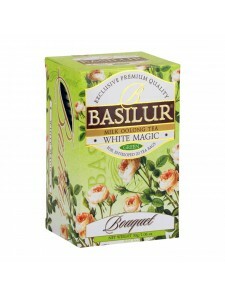 Magic Nights - Basilur presents to you a special blend of Ceylon black tea beyond imagin..
8 x 4 types of individually wrapped foil sachets An assortment of four specialty classics teas - English Breakfast, Darjeeling, Sencha, and Earl Grey. 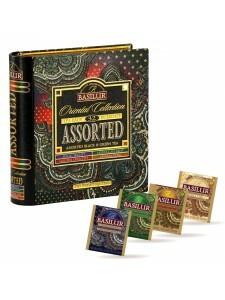 English Breakfast - A full bodied, robust and rich black tea blended to go well with mil..
20 x 1.5g individually wrapped foil sachets An assortment of 4 Bouquet teas - Sencha Green, Green Freshness, Cream Fantasy and White Magic. 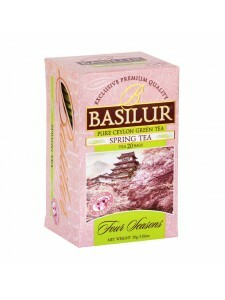 Sencha Green Tea is characterized by its mellow, pleasant flavor and rich yellow colour, achieved by gen.. 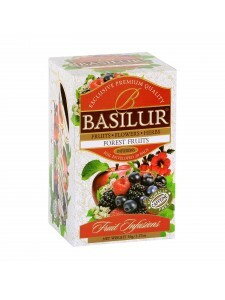 Tea bags of 20 x 1.5g foil envelopes/sachets A delightful experience of a very special green tea masterfully blended with the sweet, subtle flavours of berries and vanilla to create this sweet delight. Ingredients: 100% Pure Ceylon green leaf t..
20 individually wrapped foil sachets This connoisseur's delight of healthy green tea is masterfully blended with lemon verbana and a touch of mint to give you a rich, sensual taste. Ingredients: 100% Pure Ceylon green tea and flavour peppermint..
20 individually wrapped foil sachets An exotic blend of milky Oolong green tea, fragranced in the traditional age old method adding to an enchanting and delightful scent & flavour. Ingredients: Ceylon green tea blended with other origin gre..
20 x 2g individually wrapped foil sachets A sensational concoction of Rooibos also known as "red tea" with luscious ingredients such as apple and sweet blackberry leaves. 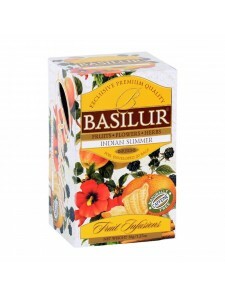 The sweetness of the fruits is a glorious complement to the taste of the fui..
20 x 1.5g individually wrapped foil envelopes/sachets An exquisite blend of Rooibos also known as "red tea" with Orange leaves, Ginger, Orange peel and sweet Blackberry leaves. A soulful cup with the tangy taste of orange and the spiciness of..
20 x 1.5g individually wrapped foil sachets South African Organic Rooibos, also known as "Red Tea" contains very high levels of antioxidants as well as several minerals. 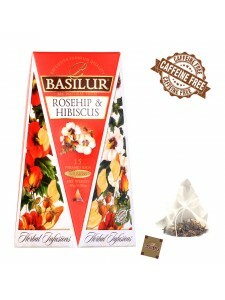 This delicate infusion is full of natural goodness and made from the selected..
20 x 1.5g individually wrapped foil sachets A delicious beverage to put a joyful spin on your day. The goodness of Rooibos also known as "red tea" have been beautifully blended with apple, hibiscus, orange peel and other ingredients to make it ide..
20 x 2g pyramid bags A great gift for the festive! 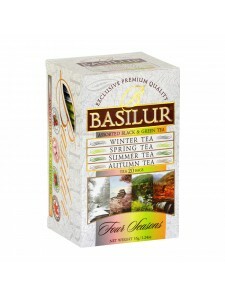 Ingredients: 100% Pure Ceylon black tea with natural white and blue cornflower and peach & cream flavours ..
20 x 1.5/2g individually wrapped foil sachets An assortment of Basilur's Four Seasons Collection teas: Spring, Summer, Autumn, Winter. 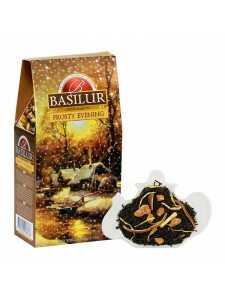 Spring Tea - At the end of winter, everyone is waiting for the blooming of Sakura, or cherry blossoms ..
20 x 2g individually wrapped foil sachets As beautiful Maple leaves turn brilliant red and fiery yellow in Fall, Basilur Four Seasons swirl into "Autumn Tea" with world's finest Ceylon black tea, complimented with a tantalizing taste of Mapl..
15 x 2g pyramid tea bags Just before flowers buries in snow, there comes a festive season when nature is all aglow. 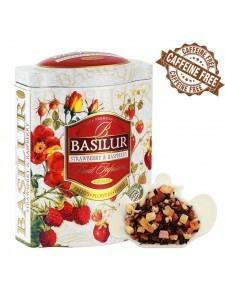 As Maple leaves turn brilliant red in Fall, Basilur For Seaons swirl into "Autumn Tea" with world's finest Ceylon black tea, compli..
20 x 1.5g individually wrapped foil sachets The sakura, or cherry blossom, is one of the most well known icons and symbolizes the ephemeral nature of beauty. With our new series of sakura Spring Teas, we are pleased to offer a way of enjoying..
20 x 1.5g individually wrapped foil sachets In Summer, the nature reaches its peak of life filled with warm sunny days that fill the flowering meadows with colour and forests with fruits and berries. 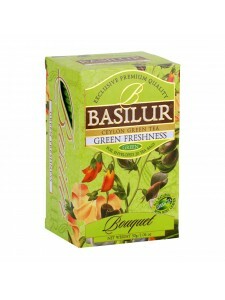 Rich in antioxidants, Sencha green tea with del..
15 x 2g pyramid tea bags Enjoy the delightful aroma and romance of Basilur Winter Tea. Together with the tantalizing flavour of cranberry, a perfect drink for any time of the day to relax and invigorate your soul and senses. 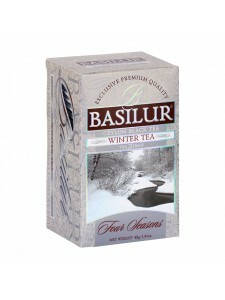 Ingredients: 100% P..
20 x 2g individually wrapped foil sachets Enjoy the delightful aroma and romance of Basilur Winter Tea. Together with the tantalizing flavour of cranberry, a perfect drink for any time of the day to relax and invigorate your soul and senses. 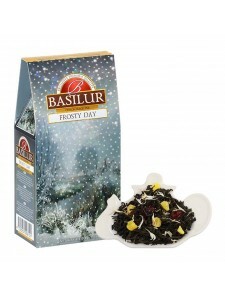 In..
Best Before: 19.10.2019 100g loose leaf An exquisite marraige of Ceylon's finest black leaf tea, natural mango & cranberry, this magnificent tea is ideal to keep you warm and energetic all day. 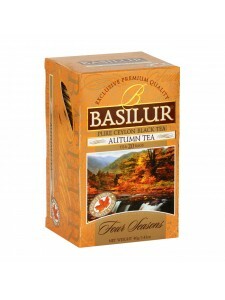 Ingredients: 100% Pure Ceylon black leaf tea,..
Best Before: 19.10.2019 100g loose leaf An ideal after-meal brew made with pure Ceylon black tea leaves, natural apricot & orange peel, this refreshing cup of tea will keep you warm and joyful throughout the evenings. 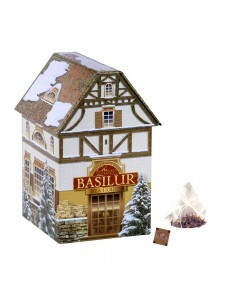 Ingredients: 100% Pur..
Best Before: 19.10.2019 100g loose leaf Celebrate a magical time of the year with an ideal cuppa made with pure Ceylon black tea leaves, natural berberries and rosehip shells, keeping you warm throughout the chilly season. 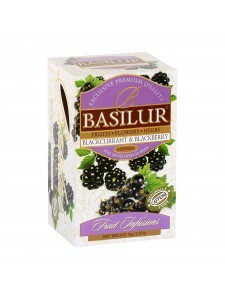 Ingredients: 100% Pu..
20 Individual Sachets A thirst-quencher that is full of health benefits, this beverage is the ideal way to wind up your day. 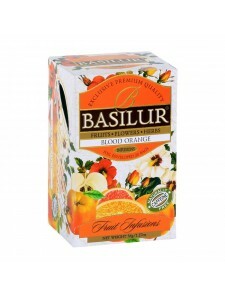 Bid goodbye to those aches and pains that accompany a chaotic lifestyle and feel refreshed at the same time as you s..
20 Individual Sachets Basilur's Blood Orange infusion is a burst of exquisite citrus flavours which will refresh your palate with every sip. 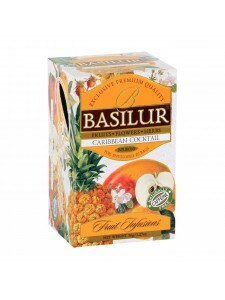 A delightful combination of natural Apple, natural zesty Orange peel, Orange flower and other natura..
20 Individual sachets Transport yourself to the serene Caribbean islands as you savour this delightful combination of tropical Caribbean flavours. 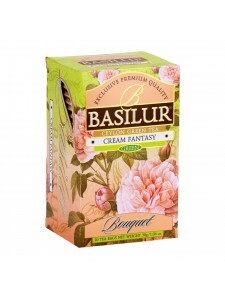 Celebrate the serenity of the wonders of the magical islands with the taste of Papaya, pineapp..
20 Individual Sachets Sit back and feel the nutrients of this wonderful blend of forest fruits cleanse you from within. 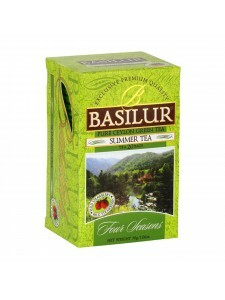 Complete with Vitamins, antioxidants and health-boosting properties, this mix of juicy natural goodness is guaranteed to keep t..
20 Individual sachets Basilur's Indian Summer Tea is a rich infusion of natural apple, plum, rosehip shell and other natural ingredients which will provide the rich flavours of India. 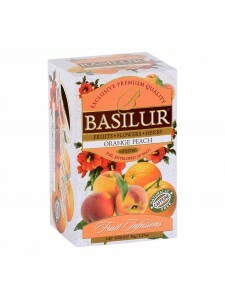 A perfect afternoon chilled drink to be enjoyed on a warm summe..
20 Individual Sachets Live an optimum life, drawing on the healthy benefits of Chicory Root and Hibiscus, sweetened with the luscious taste of apples and orange peel. 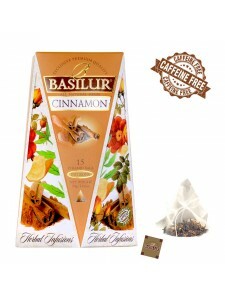 This flavoursome amalgamation of exotic delights and wholesome goodness is..
20 individually wrapped foil sachets Savour the delightful, authentic Asian flavours with Basilur's Red Hot Ginger Tea.A magnificient combination of Ginger, natural Apple, zesty orange peel and other natural ingredients which will provide the..
100g loose leaf A burst of summer on your palate which will leave you longing for more. A perfect cold drink on a warm summer afternoon or savour this delicious combination as a warm, fulfilling drink on a chilly night. 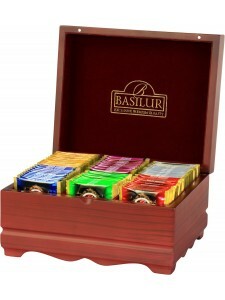 Basilur's Strawberry and Ra..
Assorted Tea Sachets x60 included Closed handcrafted wooden presenter with 6 rich red velvet lined chambers Each chamber can accomodate approx.10 sachets ..
Assorted Tea Sachets x60 included Open hand-made wooden presenter with six chambers Each chamber can accommodate approx. 10 sachets ..
15 x 1.2g pyramid bags Camomile has been consumed for hundreds of years. 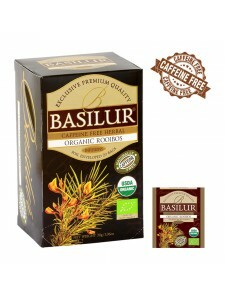 It contains the magical power to relax your sense and calm your soul while you sit back and savour the natural goodness of this caffeine-free heavenly infusion. Ingredient..
15 x 2g Pyramid Tea Bags A divine beverage that will remind you of Christmas throughout the year. This natural blend of cinnamon, orange peel, rosehip shell and lemon is perfect for any time of day. 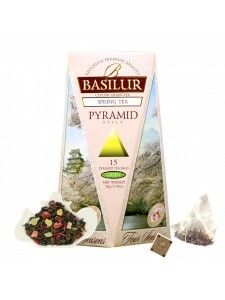 It's packed with vitamins and antioxidants which..
15 x 2g Pyramid Tea Bags This is an exotic blend of moringa leaves, orange and ginger, giving it a perfect balance of flavours and nutrients. 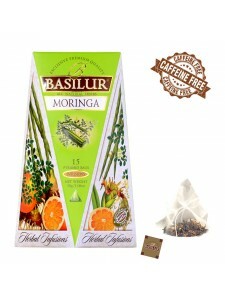 Moringa is rich in anti-oxidant, anti-inflammatory properties and has antibacterial and anti-fungal prope..
15 x 2g Pyramid Tea Bags A sweet summary blend of natural hibiscus (also known as roselle), rosehip shell and orange peel. 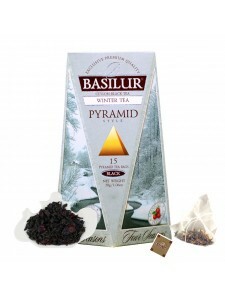 A refreshing beverage to quench your thirst, hibiscus is also known to be effective at lowering blood pressure while rosehip..
15 x 2g Pyramid Tea Bags A miracle beverage that will transform your lifestyle. 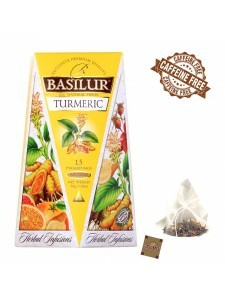 A sensational blend of turmeric, orange peel, rosehip shell and lemon which will cleanse your body. 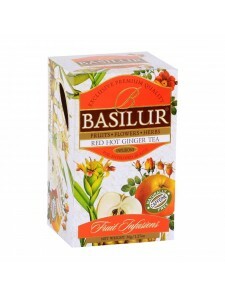 Full of Curcumin, a natural anti-inflammatory compound found in tur..